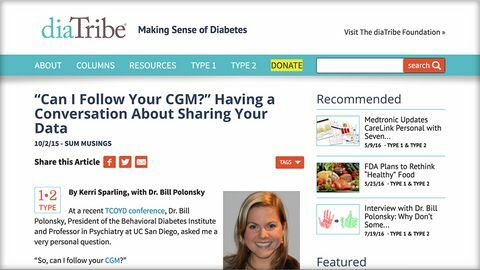 A really useful guide to how to discuss sharing CGM data - useful for patients with type 1 diabetes or their carers on how to approach this very personal question. Discussion of issues focusing on adult T1s choosing to share CGM data. Several examples of how handled by several PWD with different life situations. Good discussion checklist to raise potential problem areas for discussion before situations arise.